Competition Engineering Rear Axle Housings feature a Ford 9" center section, available in either chrome moly or mild steel. A one piece 1/4'' thick triangulated design offers increased strength and weight reduction compared to pieced-together housings. The faceplate is designed for press-in studs, item #247-9006. 9200 is rated 2.0 out of 5 by 1. Rated 2 out of 5 by JacksonW from Could be a great housing, But!!! The welds on the tubes exterior are horrible. I could take my daughter to my shop and in 1 or 2 hours have her mug welding better than this. I will have to fix this before it goes under my 1967 Camaro. 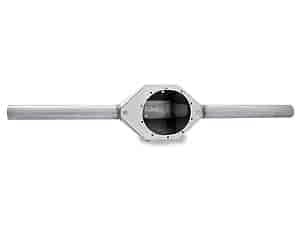 JEGS 62720 - Axle Seal Axle Tubes with 2-1/2 in. to 2-3/4 in. I.D. ARP 250-3005 - 9" Housing Stud Kit UHL: 1.645"